Whether following your favorite Twitter news feed or listening to talk radio, tales of corruption, fraud and scandal continue to litter the media circuit, painting a polluted depiction of corporate America and its leaders. These instances of unprincipled conduct often raise the question, "Is ethical behavior still valued and demonstrated in American culture?" NASBA's Center for the Public Trust (CPT) believes the answer is a resounding YES! In fact, the organization has taken a unique approach to acknowledging ethics in business in an attempt to shine a positive light on, and draw more public attention to, corporations and individuals that embrace ethics and demonstrate ethical principles in their daily walks. Established in 2006, the CPT's Being a Difference Award program honors individuals for their exceptional contributions to social responsibility and ethical leadership. Past recipients have spanned the spectrum of Fortune 500 executives and Olympic athletes to individuals who have worked courageously, but quietly, in support of the public trust. A total of 12 honorees have been named since the program's launch. Being a Difference Award winners are chosen annually through a formal process beginning with a call for nominations in which the CPT seeks to achieve nominations from a wide array of businesses and industries across the nation. At the close of the nomination period, a selection committee carefully reviews each nomination and then names the final slate of recipients. In addition to national publicity, each honoree is recognized at a special event hosted by the CPT in their hometown. This event is a highlight for award winners as it allows families, friends, colleagues and supporters to honor the recipient and celebrate his/her achievement. Malissia Clinton –Ms. Clinton serves as the Senior Vice President, General Counsel and Secretary of The Aerospace Corporation in El Segundo, California. She is a proponent of ethics education at all levels of the company and has developed educational processes including on boarding new Board members. According to Dr. Wanda M. Austin, Aerospace Corporation President and CEO, "Ms. Clinton walks the talk of ethical principals in both her personal conduct and in the standards she sets for the organization." > View the live presentation honoring Malissia Clinton and the Aerospace Corporation, filmed on location at the Aerospace headquarters, located in El Segundo, California. Kathleen Edmond– Ms. Edmond is the Chief Ethics Officer for Best Buy, headquartered in Richfield, Minnesota. Known for her head-on approach to dealing with ethical dilemmas, both on personal and corporate levels, Ms. Edmond has a blog in which she posts issues that arise within her company and asks questions of what others have done in similar situations. "Kathleen's ongoing effort to bring transparency to the discipline of business ethics is truly revolutionary…she is blazing a trail that few of her peers have had the courage to follow," said Patrick Hagen, Best Buy's HR Communications Manager. Stephen Epstein, CPA–Mr. Epstein is an ethics educator for the Michigan Association of Certified Public Accountants in West Bloomfield, Michigan. Peggy A. Dzierzawski, President and CEO of the Michigan Association of CPAs, shared that Mr. Epstein's "sustained dedication to the highest professional standards, his passion for ethics, his commitment to the CPA profession and his lasting legacy for the future of the profession make him an outstanding candidate for the Being a Difference Award." Mr. Epstein has a history of developing education and personally educating CPA professionals, even after retiring as a partner with PricewaterhouseCoopers. Thomas A. Hill–Mr. Hill is CEO and Chairman of the Board of Kimray, Inc., and Founder and President of Character First! located in Oklahoma City, Oklahoma. Mr. Hill is renowned locally for his staff-centered leadership and is a well-known public speaker on character and ethics in business. Shannon Warren of OK Ethics states, "Mr. Hill has dedicated his life to helping other business leaders realize the importance of promoting integrity in the workplace." Through Character First!, Mr. Hill developed a curriculum for training families, schools, businesses and other organizations interested in building good character. This program is now available in 27 languages worldwide. Robbie Narcisse–Ms. Narcisse is Vice President of Global Ethics and Business Practices at Pitney Bowes, Inc., in Stamford, Connecticut. Ms. Narcisse educates, counsels, coaches and trains business leaders, managers and employees of the company. She keeps her finger on the pulse of the company to assess risk and communicates potential issues and works toward solutions. 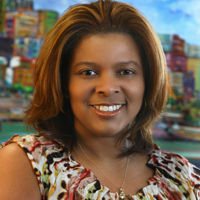 "In her role, Ms. Narcisse provides guidance and engenders trust and confidence as she helps her various constituencies do the right thing for employees, shareholders, customers and communities on a daily basis," said Johnna Torsone of Pitney Bowes. One promising outcome of this program is that several corporations have taken the Being a Difference theme well beyond the actual award presentation by introducing the concept company-wide, teaching employees about business ethics, and by establishing corporate recognition programs. Most recently, the Aerospace Corporation introduced an initiative to its senior leaders where they can now reward employees with filled Being a Difference candy jars as a way to recognize and applaud commendable actions taken by employees across all levels of the organization. CPT leaders trust that more companies will adopt similar initiatives to spread the Being a Difference spirit throughout the business community. The 2012 Call for Nominations opens March 1, concluding on May 31. CPT supporters and the business community at large are encouraged to nominate individuals who are being a difference–in their industry, profession, community, region or state. Visit CPT's website to find out how to submit a nomination and read more about past award winners. For questions regarding the program and nomination process, contact CPT Manager of Programs Amy Walters at awalters@nasba.org. CPT Honors Those "Being a Difference"